The idea behind the Adopt a Family Program is to help families become self-empowered so families in turn can build on the foundation to become self-sustainable. When a family is self-empowered they can send their children to school. They can have access to clean drinking water and medical services. They can provide their children with clothing and shoes and a nutrient-rich diet. They can be successful models to other community members to follow. The Adopt a Family Program allows Ugandan families to not only raise their own living standards but also lift the entire community through increased financial sustainability, food security and up-to-date agricultural and livestock knowledge and programming. 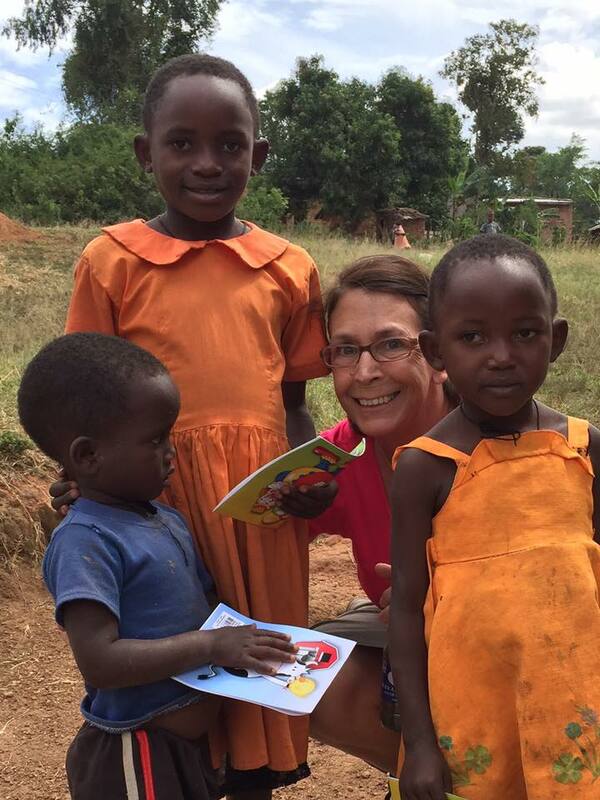 Adopting a family pairs the donor directly with a family in Uganda. Financial gifts provide opportunities to acquire business and animal-husbandry training courses, veterinary services or agricultural advisement, in addition to an enterprise project in piglets/chickens, seedlings, or coffee/mango plants. The selected Ugandan family learns how to keep business records, how to save money and set goals and how to be a business leader and entrepreneur within his or her community. A common phrase most heard by Into Your Hands Africa staff is that ‘you blew my mind.’ This concept that if beneficiaries are given enough training and education, it is possible for anyone to pull himself or herself up out of poverty. The program is largely seen as an ongoing, scalable investment as it begins by supporting one family and quickly impacts another, through a pass-on process where one family gifts a piglet or chickens back to the organization for the next generation of entrepreneurs. The cycle of giving back continues. If successful, the family becomes self-sustainable, as they continue to raise their own standard of living, and by working with other community members and then also play a role in changing the community for the better. Adopt a Family is based on one idea, that families are vital and operate by endlessly giving and contributing to one each others well being. This program, while the distance between families, is a gift from one family to another, which has a lasting effect, and a domino effect. For instance, through the Adopt-a-Family Program, enabled Nanyondo Praxenda, to be a beneficiary of the Send-a-Chicken Home Program. She received six four-month-old chickens. Two months later,she was able to supplement her family’s diet with 90 to 120 eggs, monthly, something that added to their diet, but also added to the families income. Merely, four months after receiving her initial six chickens, Nanyondo began hatching chicks. She was able to sell chicks that she had hatched to fellow community members for 120,00 Ugandan Shillings, which is equivalent to $35, and accounts for about half of what an average monthly income in Uganda is. By also selling her eggs she was able to create a business that put her over the monthly average in Uganda and was able to pay for school tuition for all of her grandchildren. She was also able to collect 46 trays of eggs, which ultimately totaled 1,365 eggs and was also able to sell 29 of those trays that brought in an additional $128 and was still able to feed her family with the leftover eggs her chicks had produced. She has been able to create a business where she spends only a small sum of money on animal feed and all of the funds regarding her business. In a short time she has expanded her project to 18 birds. She always keeps five, so she can continue to earn residual income from the project. This is just one example of how adopting a family impacts a whole family but also a whole community. 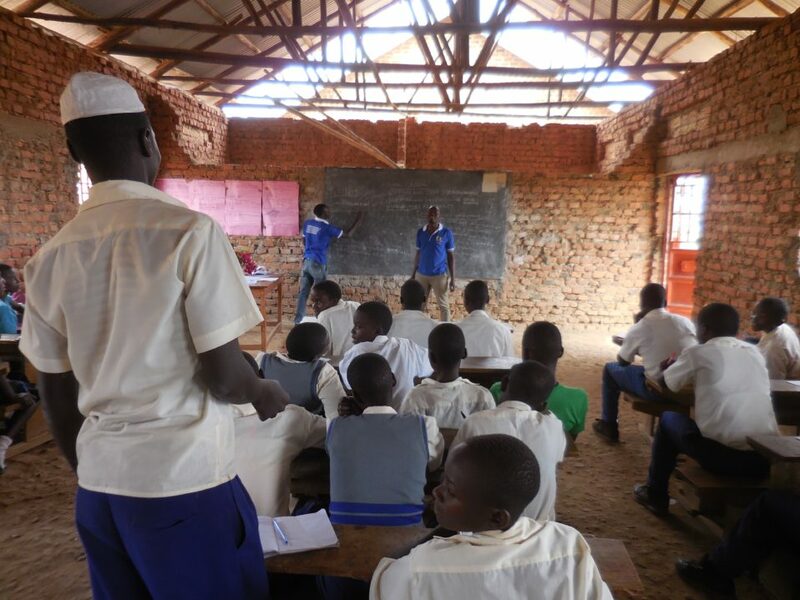 Through a small sum that goes to a start-up, families are impacted, education becomes a reality and community members are able to help grow their own Ugandan communities.